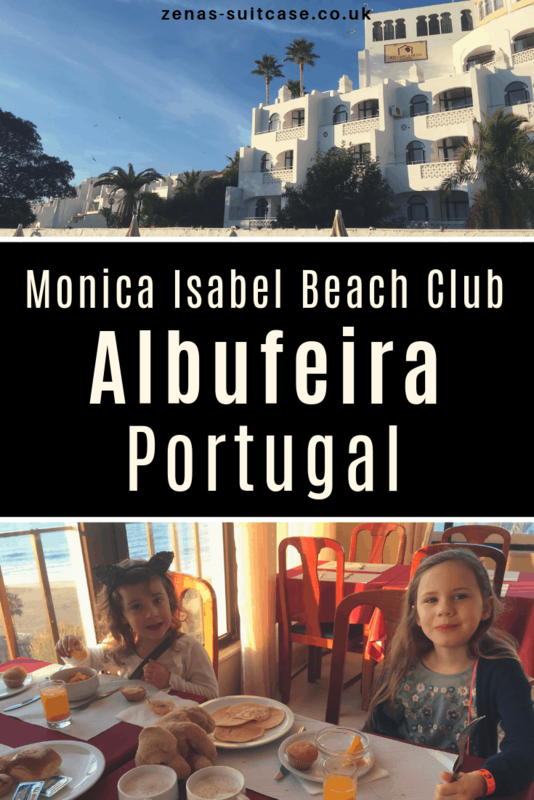 I wasn’t going to write a review about the Monica Isabel Beach Club in Albufeira, but after our holiday in Portugal at this hotel I felt I should write about it on the blog so that families can make an informed decision before they book. 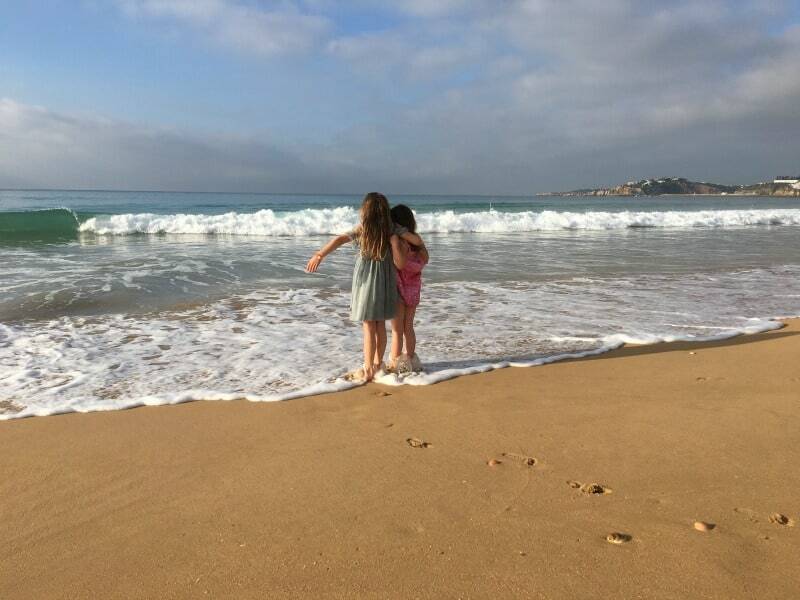 I booked a 5 night break to Portugal with Sunmaster Holidays for me and the girls for the first week of January. 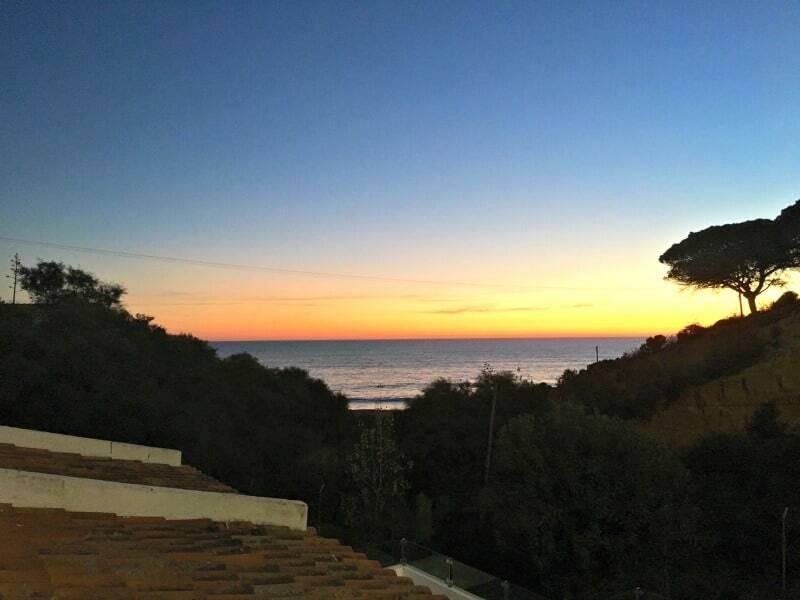 We were all looking forward to our winter sun on the Algarve in Portugal. Given that the girls have the whole first week of January off school it is a great opportunity to get a cheap family holiday. The price was fantastic to be honest. I paid £610 for a 5 night all inclusive break including flights, baggage and transfers for the 3 of us to stay in Albufeira. The hotel reviews we read online were mixed but to be honest for the price I really didn’t mind if the rooms we basic as long as we could play on the beach and explore the local area. We flew out to Faro from East Midlands Airport with Ryan Air. The girls had been so excited all morning and it was a relief when we were finally got onboard the plane and were ready for take off. We arrived in Faro after a stress free flight and took our 30 minute airport transfer to the Monica Isabel Beach Club in Albufeira. By the time we arrived at the hotel it was dark, which I don’t think is the best way to start any holiday. You always look forward to waking up and seeing everything in daylight but at that point it didn’t feel like the end of the world. As we approached reception there was a man talking to the hotel staff about being ill and how he’d just got to the point of being able to keep food down. He asked how many people had asked to see a doctor and she told him 130 guests had been sick and seen a doctor while at the hotel. I immediately became worried as I was travelling alone with the girls. If any or all of us were sick it would make life extremely difficult during our stay. When we began our check in I asked the same staff member if everyone was sick, and she confirmed that a lot of people were ill at the hotel. It wasn’t the start to the holiday we had hoped for. We were taken to our studio apartment by the concierge and as we walked to our hotel room it was apparent that someone had been sick on the stairs and it hadn’t been cleaned up. Sadly, the apartments are quite spread out so it would be really hard for the staff to clean up incidents like this quickly unless someone told them it was there, but it would impact on the spread of the illness throughout the hotel left like that. An attempt was made to clean the sick from the stairs, but it wasn’t thoroughly cleaned for a number of days. We dropped off our suitcases and decided to head to the restaurant. On the way to the restaurant we passed a woman carrying a bowl of soup. She told us she had to take it to her friend who couldn’t leave the room as she was sick. We decided to risk visiting the restaurant anyway hoping the hotel were taking the necessary steps to reduce the spread of the sickness bug. We arrived on Wednesday and from the moment we arrived we made sure we washed our hands regularly and used the hand sanitizers provided, but sadly the hotel staff were not enforcing the need for everyone to do this. We were careful what we ate as well, trying to avoid anything that might cause an upset stomach. We noticed a few things that concerned us about the hotel dining room. Plates had to be checked as not all were clean that had been put out for service. I was also surprised to see that table clothes were not being changed between meal times. Tables were clearly still soiled even when we were the first to sit at them, creating a less than hygienic environment. On Friday evening we went to dinner for 6.30pm but Brook was showing signs of having stomach ache and was off her food. It takes a lot to put Brook off eating at all so I was concerned this wasn’t going to end well. She went down hill quickly and I rushed her to the toilet where she was violently sick. We left the restaurant quickly and as we walked outside someone else had been sick right outside the restaurant door. Paper towels had been thrown over it, but it needed clearing up quickly. Obviously I don’t know when this happened as we had to leave and head to our room. We went back to the room and Brook was sick for most of the night. At about 9pm Indie started being sick as well. I was rapidly running out of towels and bedclothes so it was probably a blessing in disguise that about an hour later we had some kind of leak and water was pouring out into the kitchen and the bathroom. There was about an inch of water so our room was uninhabitable. We were moved rooms pretty quickly but it was drama we didn’t need adding into the mix. I think it’s fair to say that the Monica Isabel Beach Club is a fairly tired hotel. It’s so large that keeping up with repairs and modernisation is probably impossible. There are apartments spread around the complex and a main hotel. The apartments are big but very basic. I’ve seen similar in Spain but set up as timeshare/holiday homes and that would probably be a more feasible business model compared to the one they are currently using. If you have mobility issues at all staying in one of the apartments would probably create some issues for you when it came to getting to the restaurant or beach. 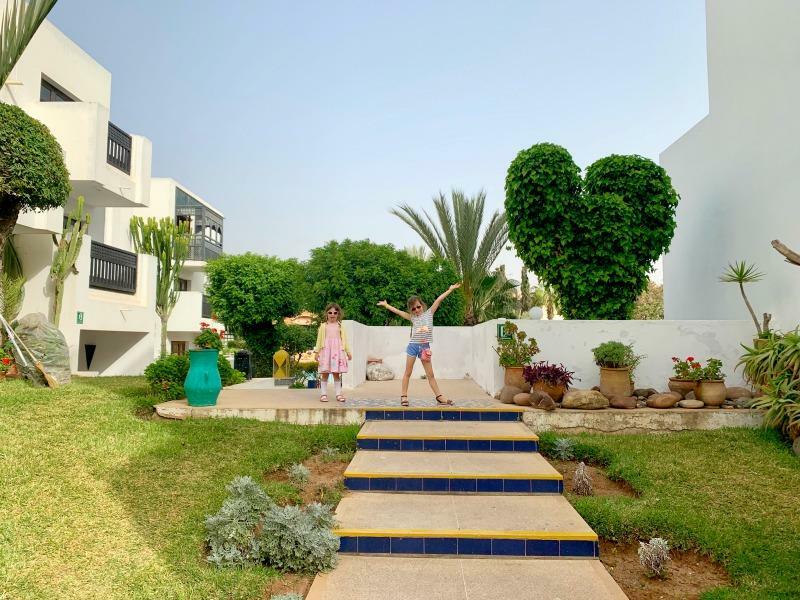 We booked the holiday at Monica Isabel Beach Club fully aware that the apartments were probably going to be on the basic side but we were more interested in the beach location and the winter sun than staying in stylish hotel accommodation. If we had not of experienced the issues we did with the sickness I would have been very happy with the holiday given the price we paid. Brook and Indie were sick for around 10 hours each and fortunately it stopped. We told reception that our room would need a thorough clean and all the bed clothes would need changing. When we came back at lunchtime it was clean and presentable again which was a huge relief. As far as I’m aware the room we were staying in was called a studio apartment. It was a 2/3 min walk with 6 and 4 year old to the reception, bars and restaurant with slight hills involved. The roads and paths were in an OK condition, but might have been a challenge with a buggy or wheelchair. We were staying in Block C 205 and 204 after our flood. There was a small carpark outside our block that guests were able to use. The studio apartment was a good size and would easily sleep 2 adults, a child and a baby in a cot. We had a separate bedroom which we didn’t use apart from to leave our suitcase in. There was a bedside table and light but no other furniture in the extra bedroom. In the bathroom there was a shower over the bath, a sink and a toilet. In terms of toiletries there was just a few sachets of shower gel and 2 small bars of soap. I had anticipated the minimum and had packed the things we needed anyway. The main bedroom and kitchen in the studio apartment was a good size. The kitchen was very basic with a 2 ring hob, a fridge and a sink. Some plates, cups, glasses and cutlery were provided and you can get things like a kettle from reception for a small deposit. We had a wardrobe, dining table, dressing table and 2 beds. There was also a TV but only Sky News was in English. We also had bedside cabinets and a cabinet that the TV was on for additional storage. Patio doors lead onto a balcony with a set of table and chairs. We also had a sea view which was nice. The room was cleaned everyday but sometimes it was quite late. When I told the reception that the room needed a deep clean and complete bed change when they were ill, the room was cleaned earlier and very well so this part of the service we were happy with. For a 3 star hotel I didn’t really have an issue with the accommodation. It was a good size, met our needs and the beds were comfortable even though the overall feeling was dated and tired. For the price it was just fine and met our needs. We visited the outdoor pool most days for a snack but it was far to cold to swim in given that it was January when we visited. There were sun loungers around the pool and plenty of tables and chairs to sit on. There was also a games area with darts and various games tables. Snacks were served from 11am and you could get burgers, hot dogs, toasties, crisps and fruit. There was also a bar that served local drinks. The problem at the outdoor pool and snack bar was the Monica Isabel Beach Club staff. They barely cracked a smile and seemed disinterested in their job. A smile and even a luke warm welcome would have made using this part of the hotel a friendlier experience all round. The restaurant that was open during our stay was on the 8th floor of the hotel. The views over the sea and Albufeira were great to be honest. The girls are pretty fixed about their meal times so we were at the restaurant as soon as it opened for most sittings and got a great table. 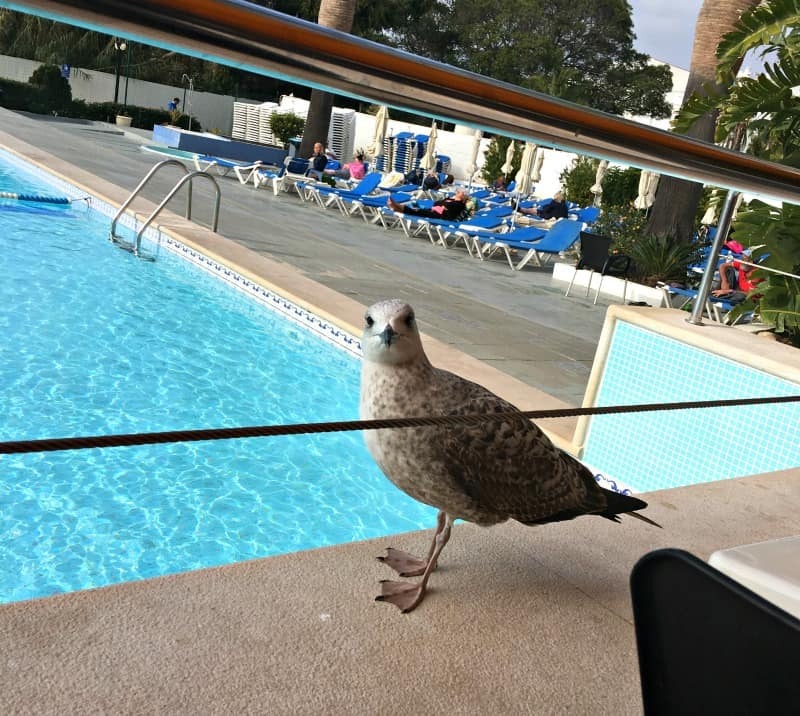 The staff in the restaurant were a lot more friendly and helpful than at the poolside snack bar. The food choices were limited and the standard OK. There was pasta, rice and potatoes every day and also chips for the kids. The vegetarian option seemed to be some variation on vegetables and cheese most days. There would also be a meat and fish option as well. There was also freshly cooked meat on the griddle everyday. There was also a fresh salad bar. For pudding you could choose from cakes, mousse, rice pudding, jelly, tinned fruit and ice cream. The kids pretty much ate fruit and jelly most days. The issue with the restaurant was the hygiene. I could see food was left on plates that hadn’t been cleaned properly in the dishwasher. The table clothes were incredibly dirty and were not being changed between each sitting. As we were the first people in the restaurant most days, it soon became apparent the table clothes were not being changed between breakfast, lunch or dinner and food stains were a standard feature on the table clothes. Use of the hand sanitisers was not being enforced and none of the staff were monitoring guests using them as they entered the restaurant. The hotel were not taking adequate steps to stop the sickness bug spreading in the hotel. I would have expected staff to be serving the food to the guests until the hotel was clear of the bug, but the self service regime was allowed to continue. Dessert spoons were not on the table but instead in a tray where you picked your own providing another place where germs could be spread. The spoons should have been laid at the table to help stop the spread of the bug. After my kids became sick, the dessert spoons were placed in paper bags in the tray which hopefully helped but I don’t think this happened quick enough. It also suggested to me that the hotel was more than aware there was an issue with Norovirus at the hotel, but they made several attempts to brush it under the carpet. One member of staff said to me a couple of times that there was something going around Albufeira causing the problem. Even if that was the case, the hotel were not managing the issue effectively in the hotel. We could get WiFi in the reception and by the pool at the Monica Isabel Beach Club. We had read online we could buy WiFi access for our rooms, but this wasn’t available in our studio apartment. The WiFi in the communal areas was fast though for us given the amount of people that were online while we were there. I couldn’t comment on what it would be like when the hotel was busy. There were a lot of sofas in reception and we were comfortable here when we needed to access the internet. The reason I booked this hotel in Albufeira was because of it’s location. It is right on the beach and the view is stunning. It was where I had hoped we would spend most of our time, and we did manage to enjoy some sandcastle building and games of beach ball here during our stay. 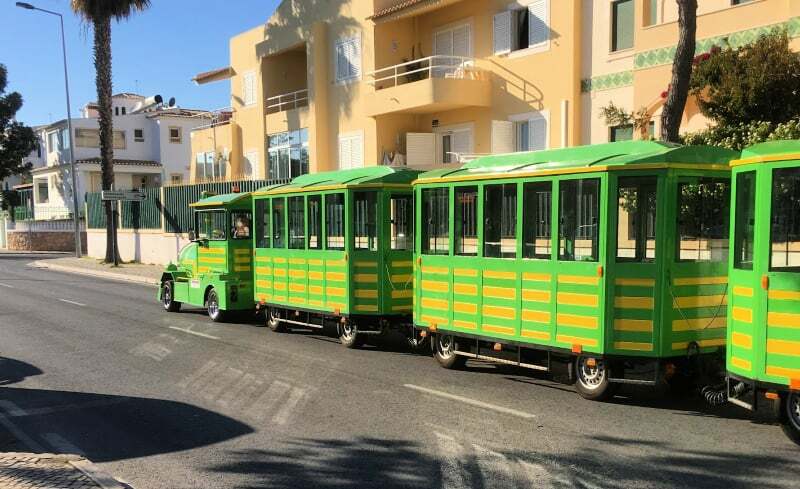 The Albufeira tourist train stops nearby and was our preferred way to get to the Old Town. You can easily walk along the beach and if you caught an Uber to the Old Town it would cost about 5 Euros. The Monica Isabel Beach Club provides a free bus service to the Old Town as well but we didn’t use it. The bus times didn’t work for us and we enjoyed the tourist train more as a way of getting about. It might be worth mentioning that the Monica Isabel Beach Club is quite near to The Strip so this might effect the types of people who choose to stay here throughout the year. Our experience though was that it was mainly families and guest were English, Irish, Portuguese or Spanish in the main. 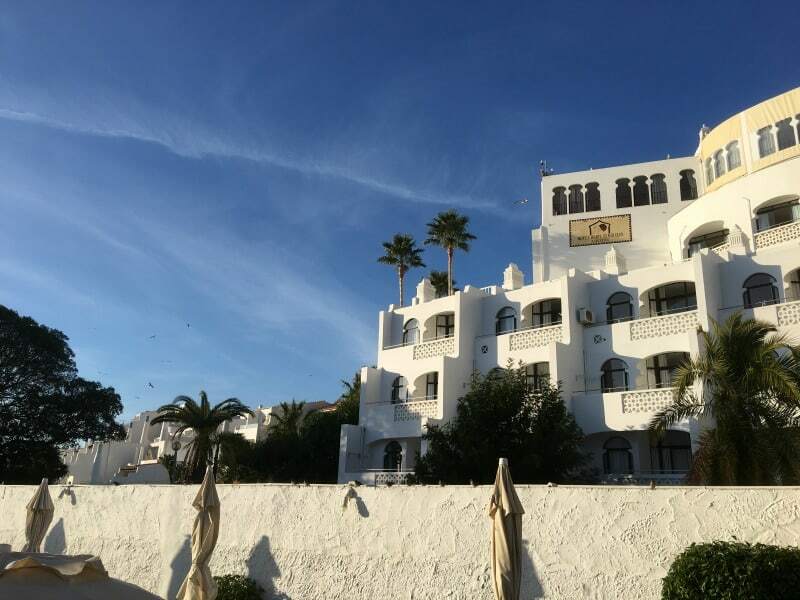 When I returned home from our stay at the Monica Isabel Beach Club I did choose to submit a complaint to Sunmaster Holidays about the experience we had at this hotel. I feel quite strongly that the Monica Isabel Beach Club did not do enough to improve hygiene while Norovirus was at the hotel. I completely understand that people get sick on holiday and that environments like hotels are difficult to manage as Norovirus is so contagious. What I do expect though is for hotels to deal with the problem effectively and try and stop the spread of the illness as best they can. Making sure that the hand sanitisers work effectively and are used by restaurant guests is an obvious one. Stopping self service of food for a period of time can also help. There also should be an increased level of cleaning for places like the toilets and communal spaces. This did not happen. Table clothes should be clean at every service, regardless of whether Norovirus is at the hotel or not. The response to my complaint is far from adequate and does not address a number of my concerns about our stay at this hotel. Some of the points they have made in their response simply aren’t true. For example, when we changed rooms apparently this was an upgrade. The room we came from was described as a studio apartment and the room we were moved to was described as a one bedroomed apartment. They were exactly the same layout and design so I’m not sure how that can be classed as an upgrade. 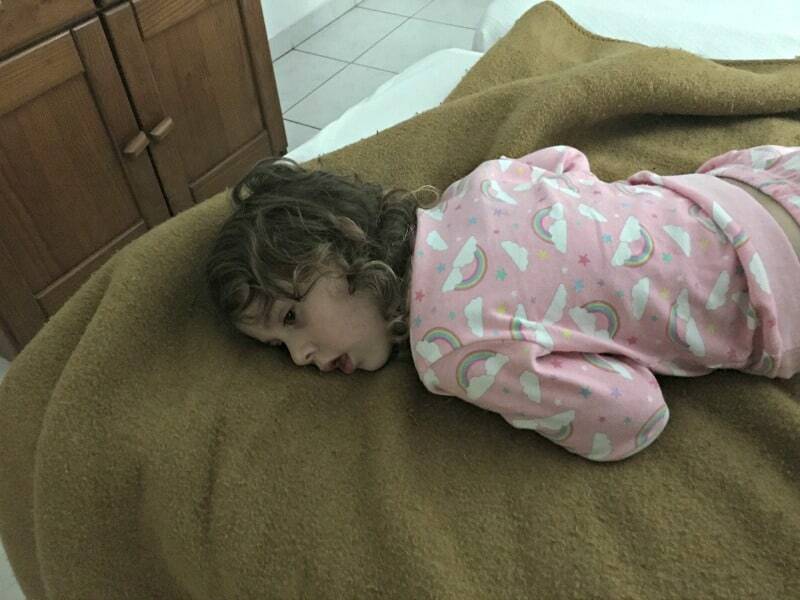 On the day we left the hotel my daughter became lethargic again and was complaining of a stomach ache. She actually fell asleep on the sofa in reception. She’s a mischievous 4 year old to be honest and falling asleep after breakfast isn’t normally on her to do list. The receptionist gave us a late check out because my daughter was sick and she could visibly see she was sick. As we were flying back to the UK that afternoon letting her rest was the obvious thing to do. It appears now that the late check out was provided as a courtesy for the disruption we experienced as a result of having to move rooms. I will be the first to say that if my children had not have contracted Norovirus or a sickness bug while at the hotel that I would have been more than happy with this holiday. I wouldn’t be raving about the Monica Isabel Beach Club because it is tired and basic and there’s no getting away from that. I would have been quite happy to say that if you wanted a cheap holiday in Portugal in a lovely location this hotel could work for you. I think the true test of any service, especially a hotel service, is how they deal with problems. If the Monica Isabel Beach Club had of been honest about the fact that Norovirus was going around the hotel and had of taken the appropriate steps quickly to help stop the bug spreading I would have said that they had done their best to help prevent the guests getting sick. Staff were being coached to downplay what was happening at the hotel which I think is awful. 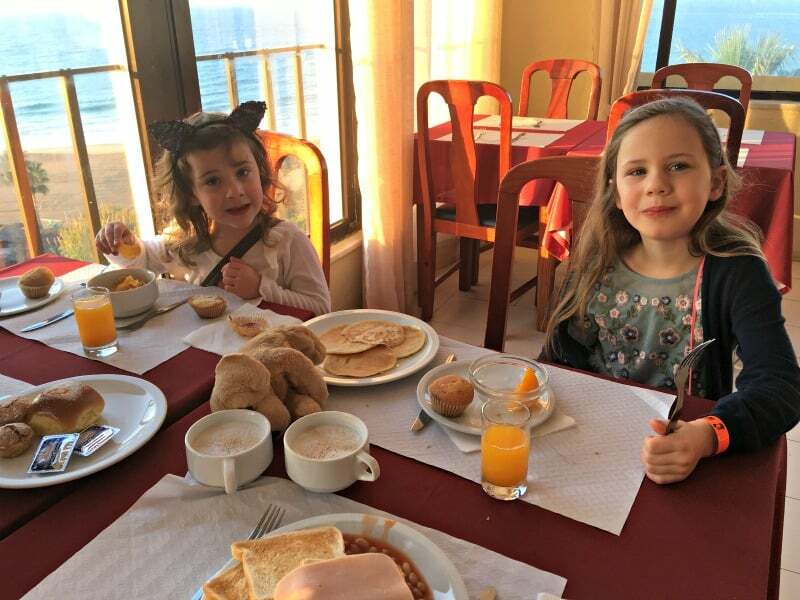 I spoke to one receptionist and he played complete ignorance when I talked about my own children being sick and other guests having been ill. Having staff try and spread the rumour that the whole of Albufeira was sick was slightly ludicrous as well. Would I Stay at Monica Isabel Beach Club Again? I think you’ve probably guessed that the answer to this question is no, I would not go back to Monica Isabel Beach Club in Portugal. I do want to expand on this because there are more reasons for this and I think it would be helpful to share those for people planning a trip to Albufeira . What I noticed during our time in Albufeira was that there were a lot of cafes and restaurants serving very reasonably priced food and drinks. If I go back here I would look for a hotel in the Old Town which is at the opposite end of the beach to Monica Isabel Beach Club. You have more access to places to eat and things to do in Albufeira if you stay near the Old Town. The beach is also very accessible so staying somewhere like Monica Isabel Beach Club isn’t entirely necessary. I also would not return here, not because both my children were ill during the stay, but because I was not happy with how they dealt with it. I want to know that as a family we are staying in a hotel that will take the appropriate action when there is a problem and from my experience of staying at Monica Isabel Beach Club they did not do this. I feel they tried to brush the problem under the carpet and just hoped it would go away. They really do need to look at their policies and procedures and do a much better job of looking after their guests before I would be happy to recommend anyone stays at the Monica Isabel Beach Club hotel in Albufeira. I would have been furious with the hotel to be honest! You would imagine that they would at least need to close a section of the hotel at a time for a deep clean and follow some of the hygiene rules that you mentioned. With Type 1 Diabetes something like norovirus could end up being life threatening for my son as his body and blood glucose levels really don’t cope with sickness like that, if they had others with existing health conditions staying it could actually be a dangerous situation. Well done for writing this post, I wouldn’t stay somewhere that handled a situation like that the way that they did. Our first Xmas away was to Albufeira, shame you had a bad experience. you had have thought the hotel would have had a heated pool if they had snacks and drinks outside. as you know we travel to hurghada these days for xmas and new year but even with the hot temps, we don’t stay at hotels without a heated pool, I really is a must. Still missing the sun, we only been back in the uk for just over a week.